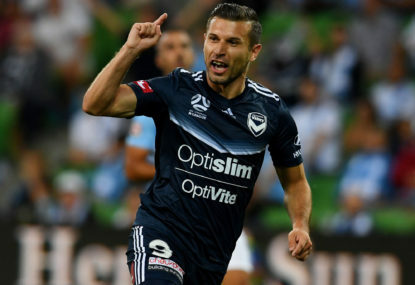 There was certainly little predictability about Round 18 of the A-League and the matches threw up some interesting performances. Perth shone, Brisbane revived themselves and the Wanderers finally got a win. Here are the men that made all the difference in Round 18. With Filip Kurto out thanks to a stomach complaint, the custodianship of the Phoenix goal mouth fell to Oliver Sail and what a day it was to be for the young shot-stopper. The 23 year-old from Auckland threw himself into the action like a man possessed and the harder the Jets tried to break through, the better the reserve goal keeper became. It was, simply, an astonishing performance. With Kurto in such wonderful form, Sail will be back on the bench for the Phoenix’s next match. Hardly fair really. Back in his more familiar role at right back and bombing forward down the flank in an attempt to create attacking opportunities, De Laet was excellent once again against the Reds. Of all the new players that came into the league this season, the Belgian may well be the most consistent. He has rarely produced anything other than quality for City this year and is one of the most entertaining players in the league to watch. Three cheers for Brisbane. The drought is over and the banana skin game for Sydney FC proved to be exactly that. With early injuries to Luke DeVere and Jack Hingert, the Roar defence looked like a stop gap arrangement right from the start and McKay stepped in where needed. It was a reflection of all that the veteran has done for the Roar throughout his A-League career. The 36 year-old flipped from left back to right back to central defence and played a cracking game. After 262 A-League matches for the Roar and a career well and truly in the twilight phase, it was great to see the ‘old man’ show everyone that there is still a little bit of quality left. Despite Sydney suffering a potentially disastrous loss in terms of their Premier’s Plate aspirations, Wilkinson was superb at the back, as Brisbane played an inspired second half and found a late flurry to earn all three points. In reality, Sydney will be furious after looking in total control for around 70 minutes. 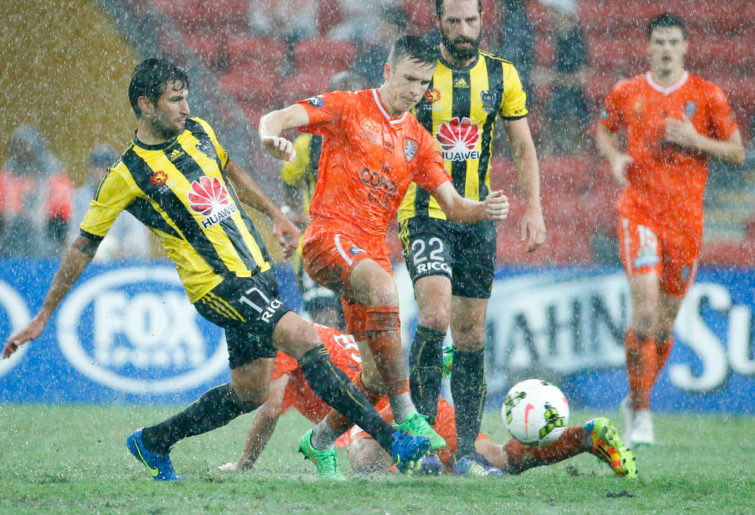 Wilkinson’s efforts had helped establish dominance, with the Roar seemingly unable to create effective chances for much of the contest. Until the home side did the unthinkable. The 16 year-old became one of the youngest debutants in A-League history against the Sky Blues on Saturday night and he did well in his first real taste of top flight action. It is great to see young Y-League talent given the chance to show their wares and despite a few sloppy passes where he appeared understandably rushed, Powell played a strong game. It was a terrific and unexpected debut after early injuries forced Darren Davies hand and led to his introduction to the game. 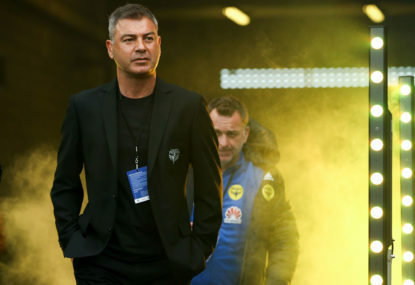 I enjoy watching Ugarkovic play and his veteran manager is often on his case from the sideline; knowing that there is so much talent yet to come to the surface. As the Jets slowly but surely attempt to revive their season, Ugarkovic is playing a key role with some lovely touches produced in the 1-1 draw against the Phoenix on Thursday night. Still just 24, Ugarkovic will continue to grow as a player and with the quality ahead of him on the pitch, he will also continue to improve the balls he plays forward with more appropriate weight and angle. Week in and week out, Davidson has been one of the elite players in the A-League this season. Personally, I felt he was the best player on the park against the Victory and that is an impressive achievement considering the strength of the two teams. Rather than scoring goals and creating countless goal scoring chances, what Davidson did was occupy the right side of the Victory attack and keep them busy throughout the match. Each and every time he ventured forward, their legs were sapped of energy and the 27-year-old played a key role in the visitors victorious trip to AAMI Park. 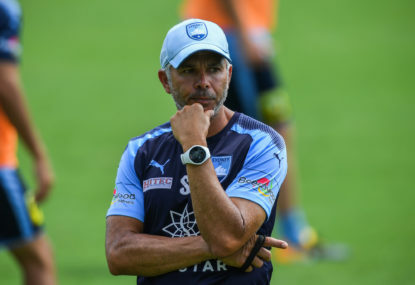 With two quality Germans still on the sidelines, the Wanderers needing someone to take control and wrestle the three vital points away from the Mariners. It was Josh Sotirio who did the job for Western Sydney. He was brilliant, involved and effective throughout and potentially, played his best ever A-League match. 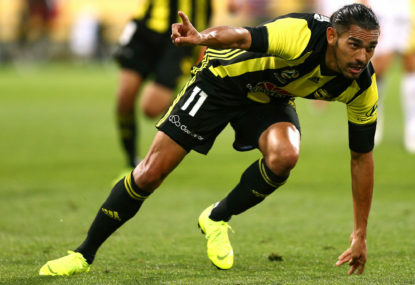 Still just 23, the Cypriot born Sotirio has now compiled 79 matches with the red and black and none has impressed me more than his performance against the Mariners. If Perth Glory looked impressive before Castro returned from injury, now they appear flat out scary. The Spaniard is well and truly back; in the starting team and scoring goals. With the luxury of leaving Andy Keogh on the bench, Tony Popovic has myriad attacking options and players chipping in from deep. That is a frightening thought for opposition teams as the finals loom as the veteran Castro starts to recapture his quality and consistency. Jaushau Sotirio had a wonderful accomplice in the Wanderers win against the Mariners at Spotless Stadium. Bonevacia has been on a run of hot form lately, despite the Wanderers inconsistent results, injuries and concentration issues. Once again, the Dutchman was superb, as he and Sotirio controlled the midfield against the Mariners and created enough chances to lead the Wanderers to a comfortable 2-0 victory. Whilst Diego Castro pulled many of the strings, Ikonomidis continued to be the most threatening option for the Glory going forward. 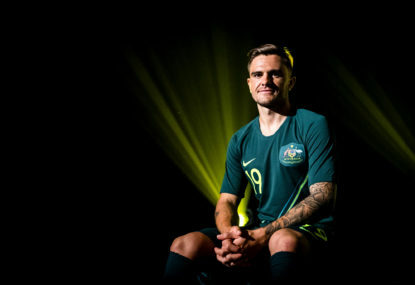 What a year the young Socceroo has had and, if anything, his Asian Cup experience appears to have made him an even more impressive player. 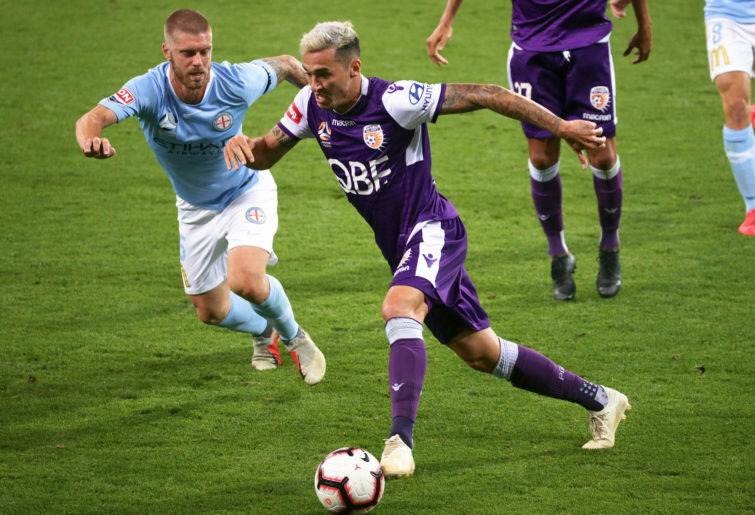 With Andy Keogh on the pine, Ikonomidis took on a more central role for the Glory at times and was dynamic on the edge of the box or on the fringes.